China and the EU believe that this is an offer that is meaningful. It is an offer that presents an opportunity and a window that should be seized by all parties across the conflict lines. We, as the EU, very much hope that the Taliban will respond to that offer to start discussions. In these kinds of scenarios, windows open very quickly, but they can also close very quickly. Beijing’s suggestion comes soon after the U.S. began targeting an al-Qaeda and Taliban-linked group made up of Uighur (or Uyghur) jihadists — the Turkistan Islamic Party (TIP). TIP operates in and around China’s border with Afghanistan. TIP and Taliban fighters are shown killing or capturing at least two dozen Afghan troops. Additionally, the two groups seized copious amounts of weapons and ammunition and several US-made Humvee vehicles. In some scenes, the jihadists are seen using captured Humvees in the assaults. China has long expressed concerns about cross-border violence spilling over from Afghanistan into its Muslim Uighur-majority province of Xinjiang. Although the Taliban has mostly remained silent on Ghani’s offer, U.S. Secretary of Defense Jim Mattis recently said some members of the group are receptive to the proposal. In response to the 9/11 attacks, the U.S. toppled Afghanistan’s ruling Taliban regime back in December 2001. Nearly 17 years later, the war is still raging with al-Qaeda and their Taliban accomplices in carrying out 9/11 assault growing stronger. President Ghani recently offered the Taliban, which controlled or contested nearly 45 percent of Afghanistan as of late last year, an olive branch in the form of a ceasefire and recognition of the terrorist group responsible for killing and maiming tens of thousands of Americans as a legitimate political group. More than 20 members of the United Nations, apparently including China and the United States, have voiced support for Kabul’s proposal, reported Radio Free Europe/Radio Liberty (RFE/RL) early this month. “Ghani had proposed a cease-fire, release of prisoners, the removal of sanctions, and recognition of the Taliban as a legitimate political group,” noted the news agency. China has worked with its ally Pakistan as well as the United States and Afghanistan on convincing the Taliban to engage in peace talks with Kabul. 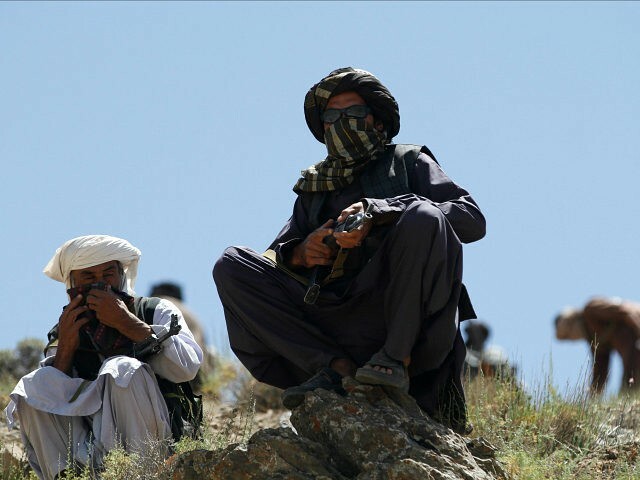 The United States has suspended nearly $2 billion in security aid to Islamabad over its reluctance to take decisive action against the Afghan Taliban and its Haqqani Network allies.